With increasing competition from imported exotic fruits the old fashioned blackcurrant has been falling out of favour since the Second World War. 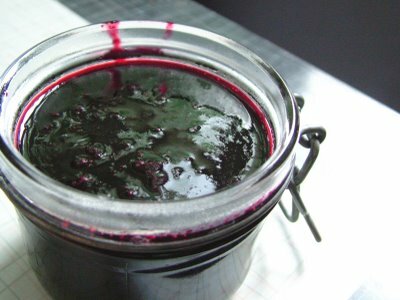 For years it has been the ‘preserve’ of jams and fruit cordials, but recently it has gained a new identity as one of the latest additions to the recent super food craze. 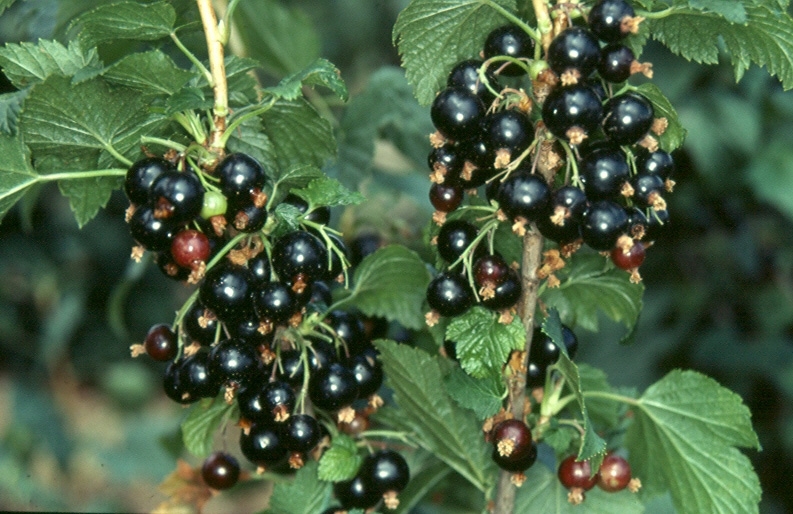 Blackcurrant bushes are usually bought as pot grown plants but you may also be able to purchase them bare-rooted from specialist nurseries during their dormant period of November to February. As blackcurrants produce fruit on stems grown the previous year it’s important to achieve a regular supply of fresh growth year on year. This is done by either growing it as a multi-stemmed bush or by using the ‘stool’ method which allows the bush to grow out from a single basal stem. By raising the main bush up from the ground this way you are also allowing good air flow around your plants and in so doing reducing the incidence of grey mould which can be particularly troublesome in most soft fruits. 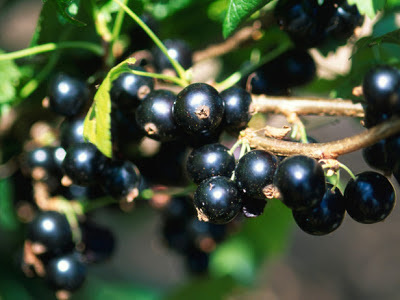 Water your plants well after planting and continue to do so during hot dry weather in the first year as blackcurrants are relative shallow rooted. Space the bushes between 5ft and 6ft apart depending on the variety, and for all new plants cut back all the growth to a couple of inches of soil level. 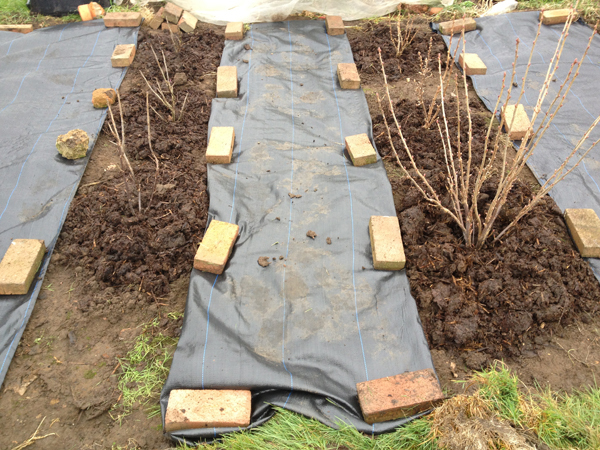 In subsequent years mulch your bushes every spring with a well rotted farm manure, this will help to add valuable nutrients to the soil, conserve moisture and help to keep down the weeds as blackcurrants have difficulty competing with them. 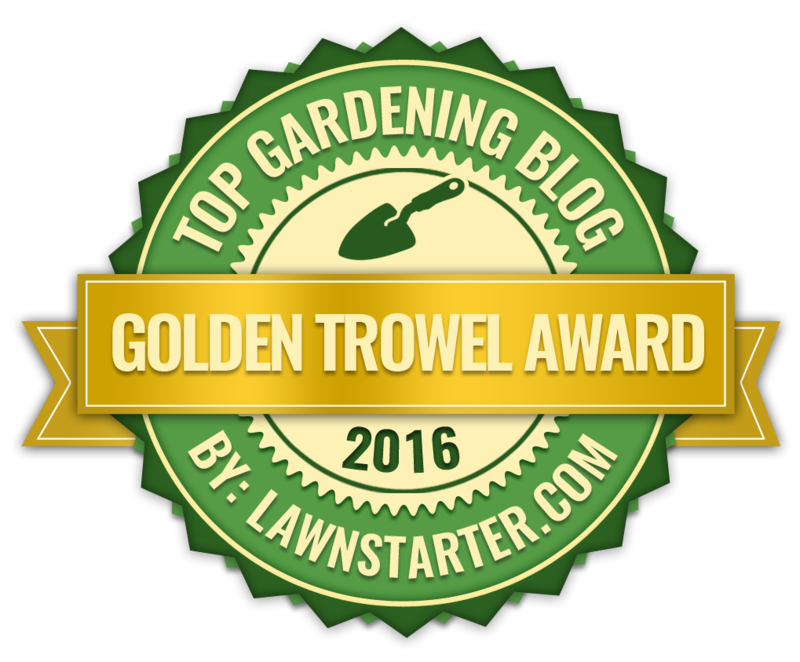 If your plants are growing strongly then you may wish to change your mulch to something less rich such as straw, leaf mould or wood chips. Before I start, I am going right back to basics. Why? Because there is a difference between knowing and understanding. Knowing why your tree fern has died is one thing - too cold, too dry or both. But understanding how this has killed off your precious, and usually expensive tree fern will prevent you from the ignominy of having to explain why that ugly, dried out trunk is doing 'pride of place' in your garden. 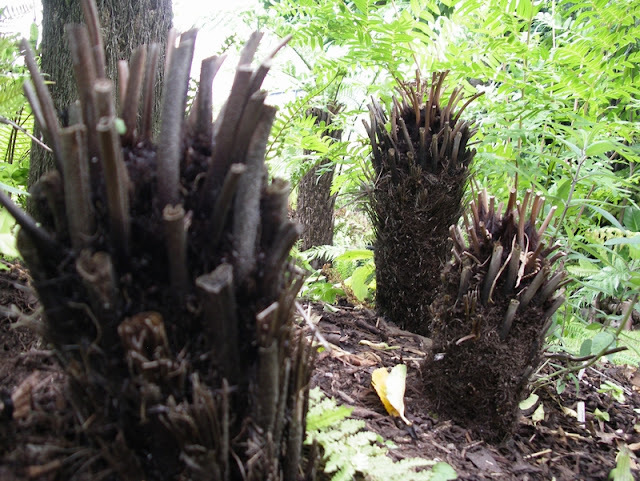 You could be unlucky and find that your tree fern has been attacked by some catastrophic fungal infection. But lets face it, it is unlikely and if you do have an fungal disease it has probably taken hold because the plant has become weakened. Tree ferns are tough, if they weren't then they wouldn't have survived the past 80 million years. Firstly, and tree ferns aside, put your hands up if you can tell me how many tree species can survive if you cut their roots off? Secondly, how many regular ferns can survive if you cut their roots off? Ignoring all those wiseacres who mentioned mistletoe - which still has a root system otherwise it would fall off its host tree - the answer is none. So why do so many of us believe that tree ferns are perfectly capable of surviving, in fact thriving without roots? This is probably down to our perception of the plant when we first purchase one. Tree ferns have had their root system sawn off when they are imported to our country and yet we witness with our own eyes that they are still capable of throwing up strong shoots from the crown - a miracle indeed! How is this possible? Well, within the fibrous trunk there is a series of thick tap-roots that run from the crown of the plant, down to the base of the plant. 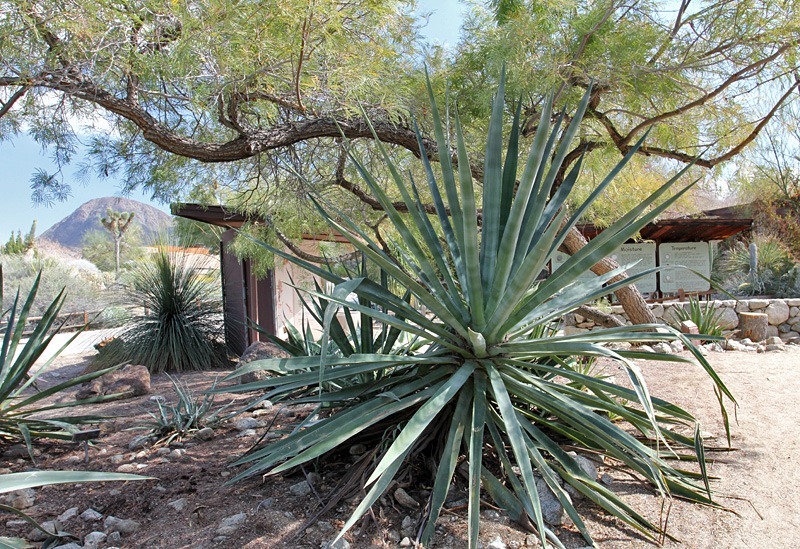 Because the original thick head of foliage has also been removed to prevent these roots from drying out during transportation, there is enough water and carbohydrate in these internal tap-roots to power out one last round of fronds. Of course, watering both the crown and the entire length of the trunk will allow the root system to take up the necessary amount of water required to survive, but don't forget that without an complete and operating root system you are going to need to water the trunk in this way up to three times a day. Even more if you have positioned your tree fern in full sun! The next issue is nutrition. How many times have you seen tree ferns kicking around your local plant retailer with stunted and pale green fronds. Too many in my experience. 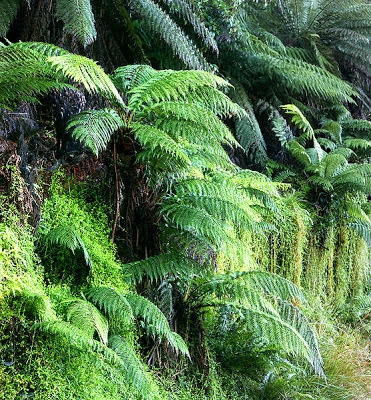 Look at any images of tree ferns in their natural environment and you will see thick, dark, luscious green foliage. Look in the garden centre - and perhaps even your garden - and you will see something that looks like a neglected, yellow bonsai on a stick. So what has gone wrong? It goes back to the root system and watering. 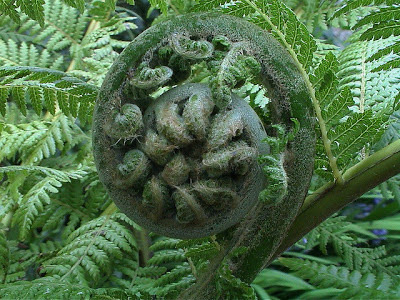 Without a soil based root system the tree fern is unable to take up the macro and micro nutrients that it requires to grow. No nitrogen, no chlorophyll, no growth. Therefore it is not enough to water regularly, you need to feed regularly too. 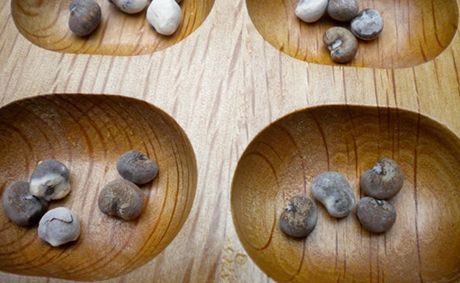 If you are forgetful than place a small handful of controlled release fertiliser - such as osmocote - in the crown. If not, water the tree fern with a water soluble fertiliser such as Miracle-gro. There is no harm doing both. 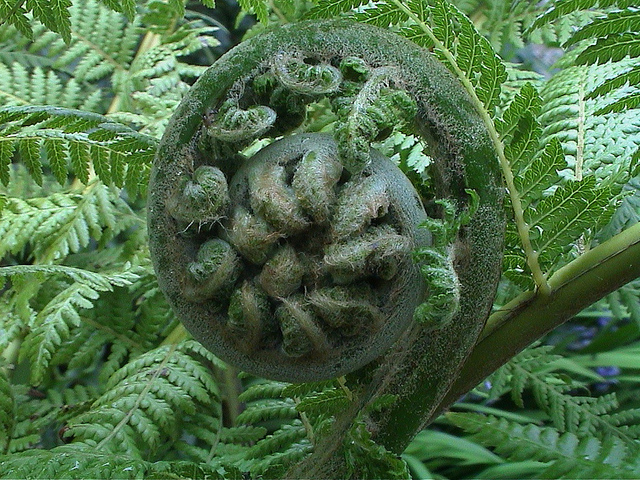 Get this right and your tree fern will have enough water and fertilizer to support itself until it has re-grown a root ball large enough to support itself without your help. Back to overwintering. I am not going to go into the details of how to protect tree ferns over winter as this has already been covered in a separate article. However, I will say that if your tree fern is relatively new and still without an effective root system you will still need to water during warm spells. Forget this and you can still end up with a dried out husk when you remove your winter protection. 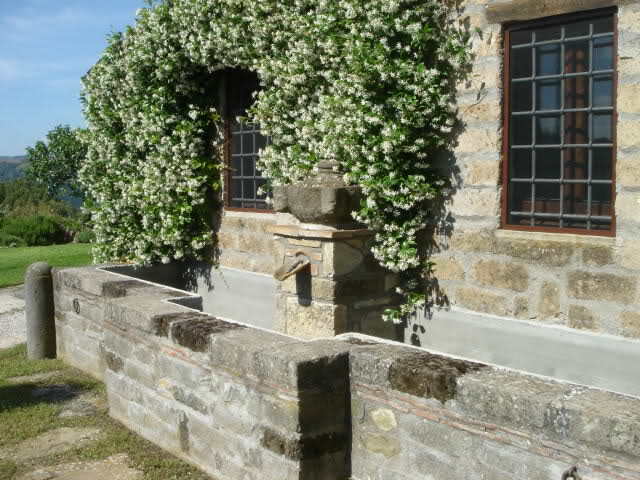 In my northern European garden I have a habit of removing the protection during the day when it is reasonable warm so that I can water and then replace the protection before nightfall. The secret to growing giant lemons - Can you do better? Have you ever wanted to impress your fruit growing friends with exceptionally large lemons? The chances are that you probably haven't, but the need to grow bigger and better fruit that your peers has been the goal of amateur and head gardeners for centuries. So when it comes to growing enormous lemons there isn't really a secret formula. 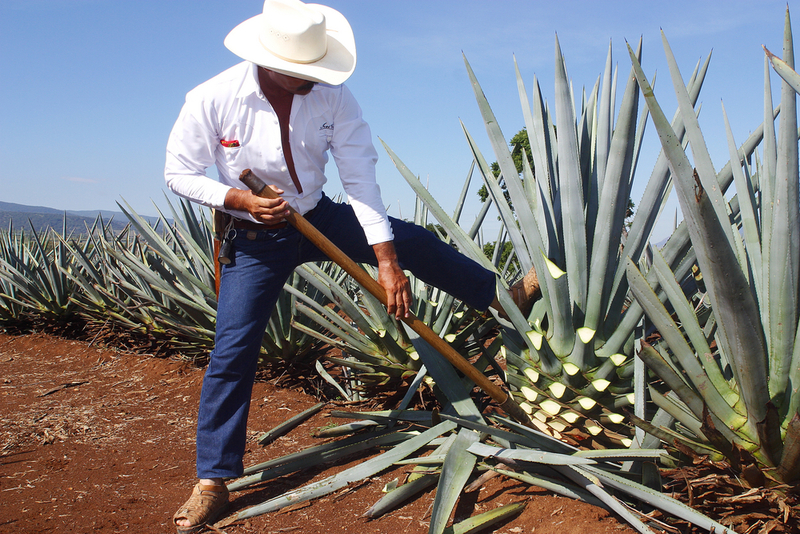 You just need to be growing a cultivated variety that produces naturally large fruit. Suitably large species and cultivated varieties include Citrine medica, the Ponderosa Lemon, and the Femminello Lemon. Be that as it may, there are some cultivational points that you can employ in order to improve your chances. Remove, also known as thinning out, half the juvenile fruit when they are about the size of a marble in order to encourage the remaining fruit to grow larger. Lemon trees are more sensitive to frost damage than other types of citrus so try to provide a frost free environment during the coldest part of the year. Furthermore, plant your lemon tree into a slightly acidic, free draining soil and provide adequate light, warmth, nutrition and water. Although the perfect nutrient breakdown is still argued by professionals try using 5-1-3 NPK with a monthly feed of trace nutrients. 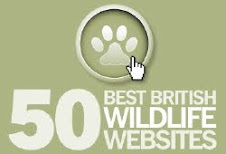 It should go without saying that you should be relentless with pest and disease control - organic, of course. So, just what is my secret to growing giant lemons? Well, there is no secret as such, although I will admit to a little cheating. 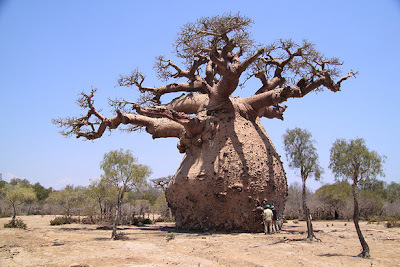 While the tree is indeed a lemon tree, the giant lemon hanging from its branches was certainly not produced by it. It was recently purchased from a lemon stall in Sorrento, Italy, and tucked carefully away in my suitcase for the flight back home. A cotton cradle was carefully sewn into the top of the lemon by the future Mrs. Eaden, from which it was hung in place. Deception complete! If you have spent any time in southern Italy, and in particular Sorrento, you will find that almost everyone and anyone is producing and selling home made Limoncello. From pizza parlours to small factory set-ups in high street shops, wherever you go you can find yourself being offered free tasters of someone's secret family recipe. Unfortunately, with my old man tastes buds, all Limoncello's taste the same, but is no bad thing as that just means they all taste amazing. The problem is that once you have finished off the non-breakable bottle you smuggled home in your luggage, you are left wanting more but can't justify the air fare to purchase another bottle. Of course you can probably buy a Limoncello facsimile in your local supermarket, but why bother if you can pool the raw ingredients yourself and manufacture your own family brand of 'unique' Limoncello I am aware that it is far easier to just buy a bottle down the road from Tesco's, but that isn't the point of this article. You will also need a number of bottles. 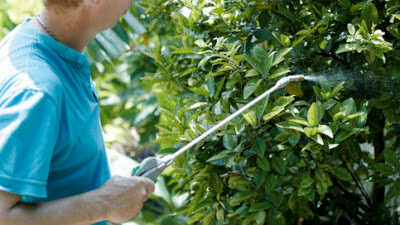 The lemons need to be fresh and organic as any chemical sprays used on the lemons will taint the final flavour. The water has to be of excellent quality. Tap water should be fine, but if you are not convinced then use mineral water. Sugar has to be refined white, otherwise the Limoncello will end up looking muddy. The best alcohol to use is clean and clear 90% or 95% (180-190 proof). While this is easily obtainable in Italy you may not be so lucky where you live. In which case consider using Vodka instead. Wash 6 large or 10 small lemons thoroughly in cold water and dry. This is to remove any dirt or reside that may be on them. Scrape or grate the lemon zest, but only the yellow skin. Do not go into the white pith and certainly no juice. Place the zest into a completely clean 1.5 litre bottle that has a air tight sealable top. Now pour in 1 litre of 90% or 95% clean and clear alcohol and seal the lid. This can now be stored in a cool dark place. Leave for 4 weeks, but give the bottle an occasional shake. During that time, the alcohol pulls the colour and the essential oils from the lemon zest. When the four weeks are up, boil 1.5 litres of pure water in a clean pan. Once it boils, turn the heat down to simmer and add 400g of refined white granulated sugar. Keep stirring the sugar until it dissolves then turn off the heat and let the syrup cool down until its just about tepid. Prepare the bottles you are going to use for storing the Limoncello - re-used 750ml fizzy pop bottles will do, so longs as they are properly clean. However, if you are making limoncello on a regular basis then it may well be worth investing in some old fashioned glass bottles with the rubber ring, stopper and metal latch. Use a funnel and pour the alcohol mixture into a decanting bottle first. This is to separate out the liquid from what remains of the lemon zest. If you prefer you can put the zest into a muslin bag to squeeze out the last remaining alcohol. Pour the filtered alcohol into the pan with the syrup and stir gently. Once fully mixed, use the funnel to pour the fresh Limoncello into your bottles and cap them. Limoncello is best served cold you your new batch can be placed in the freezer until required. 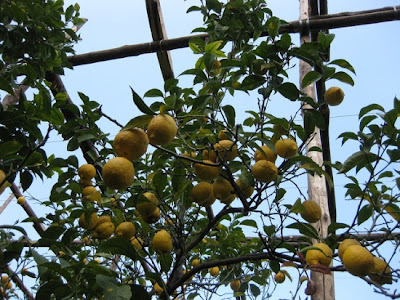 If you have ever travelled the roads along the Amalfi coast then you have probably noticed the huge number of fields that are devoted to lemon production. The introduction of the varieties of lemons grown on the Amalfi Coast and the coastline surrounding Sorrento date back to Roman times, and have changed very little over the passing 2 millennia . 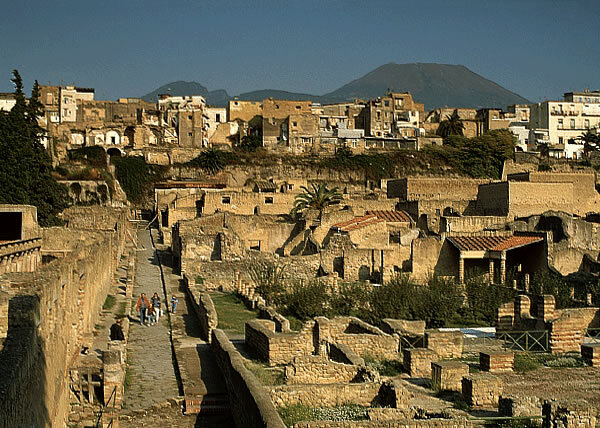 In fact, mosaics and paintings that survived in ancient Roman villas in Pompeii and Herculaneum show lemons that are shaped remarkably like those grown in Sorrento today. 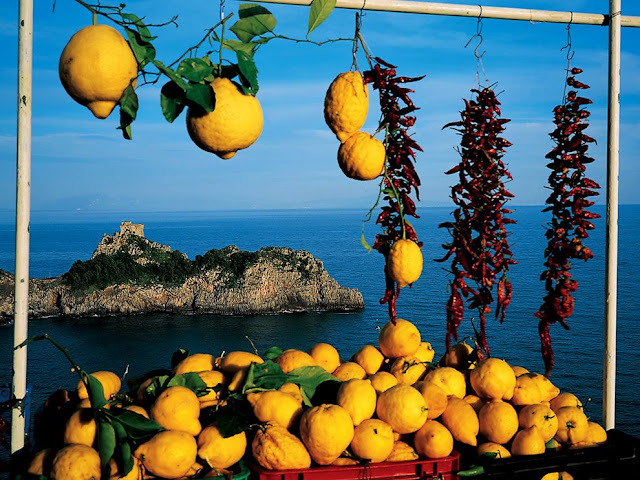 However, it wasn't until much later, from the 10th-11th centuries, that the cultivation and production of lemons would start to become an important part of the economy on the Amalfi Coast and Sorrento. 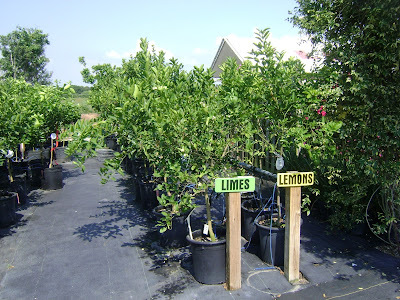 Cultivated under traditional, tall wooden frames, these lemon groves require protection from cold winter winds, rain, hail and - rather surprisingly, the occasional frost. And when I say tall I mean it, you can be looking at frames of up to 5 even 6 metres tall. Why? Because the lemon varieties grow in Sorrento can get as tall as 8 metres. 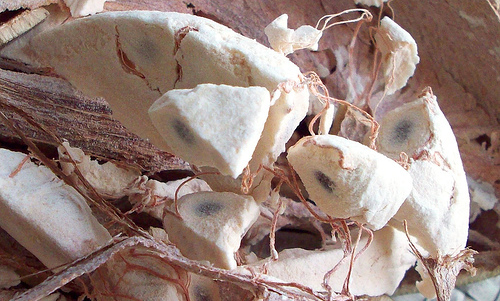 They are easy to spot as they are often left to protrude through the netting and have their fruit unharvested. The inhabitants of the small town of Sorrento are rightly proud of their lemons. 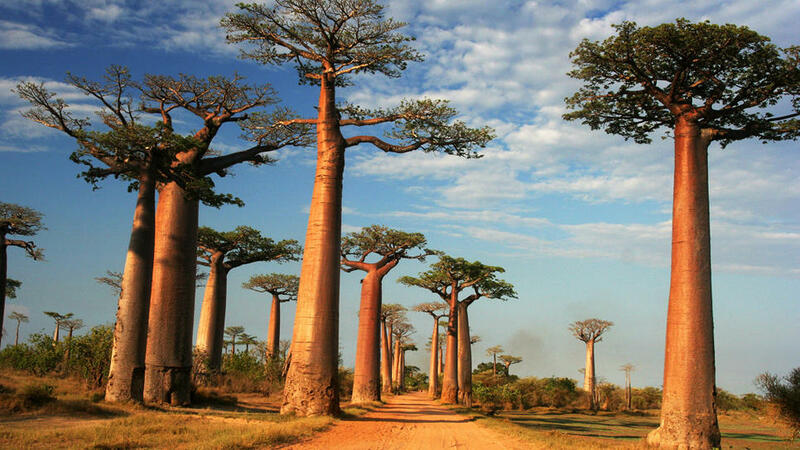 In fact, these locals believe that their lemons are the best in the world! Found in Campania region of southern Italy, sorrento lemons - otherwise known as the Limone di Sorrento, Ovale di Sorrento, Massese or Massa Lubrense lemon, is a highly regarded lemon variety whose popularity outside of the United States rivals that of the Eureka. Even as late as the turn of the twentieth century, Sorrento lemons were sold individually and could only be handled by women who had to have trimmed nails and wear cotton gloves to handle them. Why? Well, the rind of the Sorrento lemon is relatively fragile and any damage to it will quickly allow fungal rots to take hold. 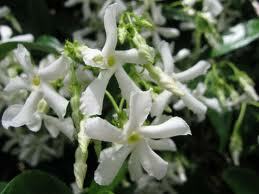 The Sorrento lemon has a lemon drop yellow, highly fragrant, medium-thick peel. Its ovate in shape with tapered ends. 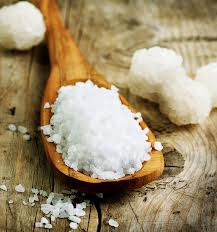 The pulp is translucent yellow in colour and yields a large quantity of semi acidic juice. Although the flesh is very low in seeds and often found to be seedless, the lemon cannot be sold as a seedless variety. 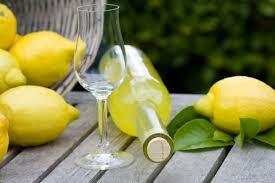 In Italy the Sorrento lemon is the lemon used in the making of the popular and very tasty Italian liqueur, Limoncello. In fact 60% of the lemons cultivated are reserved for Limoncello. 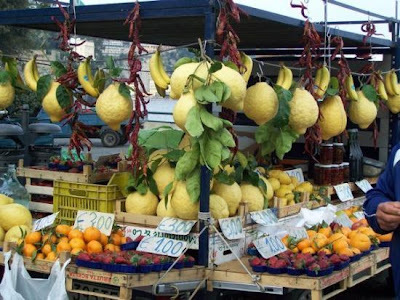 It is also the most widely used lemon for fresh consumption in Italy. In November of 2000 Sorrento lemons earned their own IGP recognition (Protected Geographical Indication), similar to the prestigious AOC designation for cheeses. If you are checking 'Trip Advisor' or looking at Google maps to see how to get to the Naples National Archaeological Museum then everything will look pretty straight forward. There is a metro station right next to the museum, so how hard can it be? Well it turns out that physically getting yourself to the Naples National Archaeological Museum is a bit of a mission. Especially when the directions on 'trip Adviser' tell you to get off at the wrong train station. 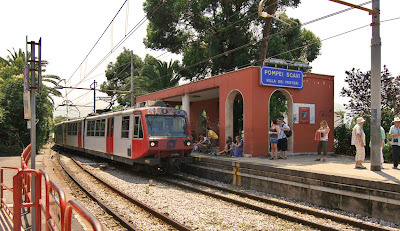 If you are travelling from Sorrento then you take the circumvesuviana train from Sorrento train station that terminates at Napoli. But don't get off at Napoli station or you will be in for a 15 minute walk back to the station you really want which is Napoli Garibaldi. Why? Because that is the station that connects to the metro line. Once you arrive at Napoli Garibaldi you can purchase return tickets to Cavour. 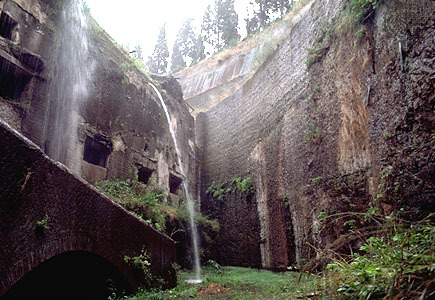 This is just one stop on from Naples Garibaldi. It is on Line 2 and you pick it up from platform 4. make sure you confirm the platform in case it has changed since writing this article. It is when you get to Cavour that things get tricky as this station is also linked to another metro station called 'Museo'. Now you will read that you leave the station at Cavour, and the Naples National Archaeological Museum will be 100 yards on the left. Well you can stop right there because it doesn't. There is a warren of stairs, travelators and escalators that need to be overcome before you are anywhere near the correct exit, and guess what - there are no signs to help you! 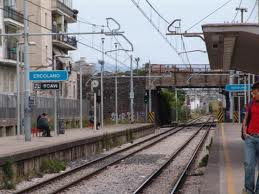 You remain inside the metro station and make your way towards 'Ai treni Linea 2' until you find a tobacconist shop sited at the end of a corridor. Once you have found the tobacconist there will be a 'hidden' corridor leading off to the left that you were unable to see before until you reached the tobacconist. From this point there will be two sets of travelators leading you into the distance. Get on them to the end where you will find a sign for 'Museo Nazionale' and an arrow that leads you to set of enclosed stairs that go up about three flights. This then opens up to what looks like another station entrance, but filled with Roman statues and archaeological affects. 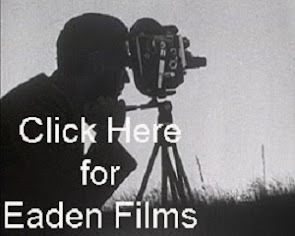 Have a look around if you wish - but these are all copies. Instead you will need to find the exit and then you turn left and walk 100 meters to a flight of steps that finally lead you to the main entrance of Naples National Archaeological Museum. Napels Archaeological Museum - finally! Well done, enjoy your visit although you may find that sections of the museum are closed if not enough staff turned in that day, or that some of the better exhibits are on loan to other museums. Although there won't be any signage for this either, if you are over 18 don't miss out on the 'Secret Room'. Like other ferns, tree ferns will have a period of dormancy over the winter and break out into new growth in the spring. The trouble is that they are usually late in developing new fronds when compared to the more usual native or regular ornamental ferns. New stock imported from the forests of Australia Tasmania and New Zealand will be in what is considered to be prime condition - even though they would have had both their roots and foliage removed. Even so, these tree ferns will have enough of an internal root system, and energy stores to start producing new fronds by the end of April - I am talking northern European climates here. 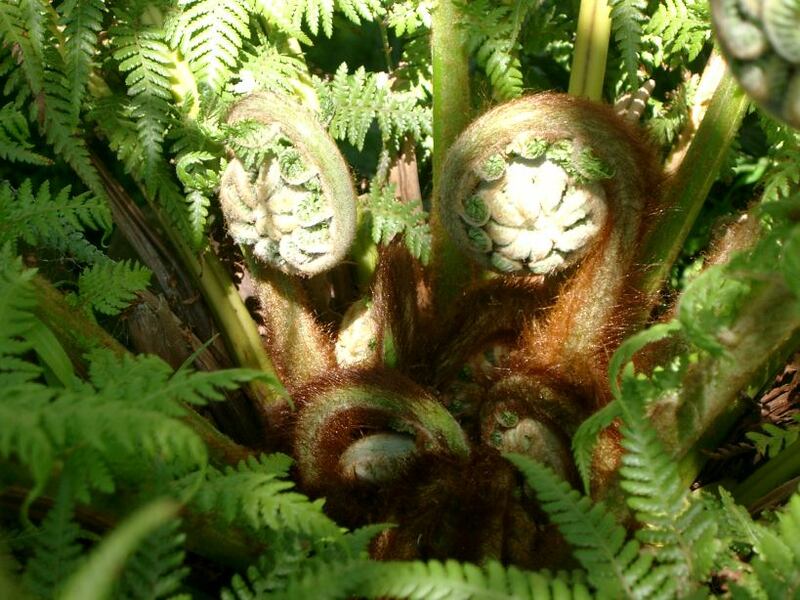 If you have purchased poorly maintained stock from a retail plant outlet, but have made efforts to supply a solid watering and feeding regime since taking ownership then you can expect your tree fern to unfurl its first frond in early to mid May depending on how the weather pans out. If you are extremely careful then you will be able to feel the embryonic fronds as early as February - just try not to break them. Be aware that a warm dry spring can easily kill off this new growth if the tree fern if it is not regularly watered, and I mean sufficient water to both the crown of the tree fern as well as its trunk. If these early fronds do dry out then your tree fern is unlikely to survive into the following year.